Here are some of the tactics I used to rebound from ME/CFS, brain fog, and chronic fatigue. These tactics – along with many more tactics, as well as links, resources, references, in-depth theories of chronic fatigue, ME/CFS and other chronic conditions – are from my book, The Memory of Health. What is The Memory of Health? A memoir and guide to living well. The Memory of Health is a meditation and conversation on well-being. What makes you thrive, even in the face of great odds? What makes you come alive? At the age of 22, Edie developed chronic fatigue after having surgery for a ski accident. While physical therapy was helpful, she had to seek alternative treatment to regain full use of her knee. In the course of seeking answers to her health challenges, she discovered the power of mindful living and became a conscious consumer in her quest for true well-being. Whether you like mainstream, alternative, or integrative medicine as your solution for health and well-being, be conscious of the choices you make, because they matter. Mindfulness – Mindfulness is the practice of being in the present moment, with great joy (I believe), and no judgment to a situation, or attachment to the outcome. In the process of writing my book, I also learned that “memory” in its original form means mindfulness, or a lucid state of being. When I first came up with the title for my book, The Memory of Health, I was referring, literally, to the memory of being well. Little did I know, that this meaning would come full circle. In the memory of remembering what it’s like to be mindful of our well-being, moment to moment, we have a greater opportunity to recapture the feeling of being in Flow. Mindfulness is a huge topic, and it has many esoteric and practical meanings and uses. It’s also something we could all benefit from to practice more. I use mindfulness and awareness to lessen the gap between my symptoms and well-being. What does this mean? It means that anytime I experience a symptom, I check in and reduce or remove the source of that symptom. This removes stress and allows my body to relax and heal. Along the same lines (but different) is using the Gupta Amygdala Retraining Program. It literally teaches you how to retrain your amygdala to eliminate one of the main sources of fatigue. I am currently using this program to heal at the deepest level and stay well and thriving. Yoga/Mind-Body Fitness – Yoga can keep your body in what’s known as the Relaxation Response, which is the opposite of the stress response. This can literally help your body to reboot and help your nervous system to relax and heal. The Relaxation Response takes you deep into the parasympathetic state (the opposite of the sympathetic state also known as Fight or Flight). In this state, digestion returns, immunity goes up, and much more. Yoga can affect and strengthen what is known as vagal tone, measure by heart rate variability (HRV). The more variable your heart rate, the healthier you are. There is much more I could say about yoga and meditation. You can read much more about the healing effects of yoga, mind-body fitness like QiGong (energy cultivation) and meditation in my book and beyond. Do yourself a favor and explore these healing arts & practices. 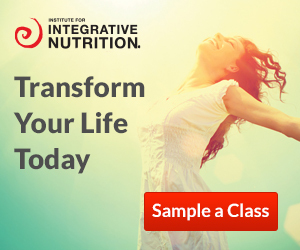 Deep Nutrition – What we eat has a profound impact on our health and well-being. While I believe the most important is our state of mind, what we eat does make a difference. There is much I could say on this subject (and do so extensively in my book), but the main point for this blog is for you to realize that if you are consuming foods you are sensitive to, this may be contributing to your symptoms. Please see “Reducing Irritants” coming up in this blog to learn more about how they may influence your health and well-being. Of course, real, fresh, organic, and non-GMO food (when possible) can go a long way toward raising your vitality and nutritional levels in your body. High Quality Supplements – Along the lines of eating real, fresh food, is considering taking supplments that may suit your current situation. Please talk to your practitioners as well, to get their expert points of view. High-quality supplements (note: they are supplementing your diet and lifestyle, and are not a substitution for eating and living well), can be game-changers in tipping the ball in your favor. Along with focusing on fresh organic food, I have found key supplements that help me to stay well, such as extra-strength turmeric to fight brain fog, food-based multi-vitamins, and superfoods like acai and Hawaiian grown Spirulina offered in supplement form to keep me feeling good. In fact, in my quest for answers to my health challenges, I found and explored the natural foods industry. I cannot take prescription drugs, so for me, finding high-quality food and supplements offered by this industry changed my life. Many people become conscious consumers in their quest for well-being. Deep Self-Care – Again, huge topic. But, so many people who are sick have learned on some level to not put themselves first. Putting yourself first and making self-care a priority can be a game-changer for your well-being. It was for me. Consider scheduling in time on a daily basis – i.e. build self-care rituals into your daily life/treat self-care like you would eating, sleeping, and brushing your teeth – such as yoga, meditation, spa visits (or do them at home), preparing good food and eating well, spending time with loved ones, and scheduling in lots of down time. I balance up time with down time. This makes all the difference in the world for me. I wish the same for you. Reducing Irritants – As I mentioned above, certain foods, as well as other chemicals, may be irritating your system. This may lead to inflammation in your body. When this is a recurring situation, i.e. you keep consuming or are continuously exposed to an irritant (even synthetic perfume, as another example), your body may go into a chronic inflammatory state. This state is where chronic illnesses arise. Pay attention to what may be irritating your body and producing symptoms. See if you can reduce or remove the irritations to give your body a break. Irritants can lead to chronic inflammation, which can lead to chronic fatigue & chronic illness. Chronic Inflammation – Chronic inflammation is one of the main bio-markers in any chronic condition. While I won’t go into much detail here (see my book for a detailed discussion on how this state can impact many conditions including CFS, MS, RA, etc. ), one main way I experienced fatigue was through an activated immune system, which is tied to chronic inflammation. An activated immune system may, in some cases, contribute to that feeling of brain fog, through the activation of the brain’s immune cells, the microglia. See The Memory of Health for more discussion. Also of importance is to note that where there is chronic inflammation there is often chronic fatigue. Community – My one, main wish is that you make seeking Community your first mindful act. If you feel you can do nothing else, seek community. We are social creatures, and we need love and support to heal and thrive. It also contributes greatly to what is known as resiliency. Chronic illness can be isolating. Find a way to get and stay connected. Your life, health, and well-being may depend on it. There is so much more I could go into, but that takes a whole book, which is why I wrote it. There is much to consider when looking at your own particular situation. For example, another huge topic is that many people with chronic conditions and fatigue syndromes may not be detoxing properly (poor methylation), leading to symptoms. I emphasize eating greens, plant foods, and low sugar, along with taking a few key liver supplements (like Liverite & one from NOW brands) to help me detox and methylate properly. So, while I cannot address all topics and possible solutions here, I attempt to address many of them in my book. Please note that I am sharing what works for me. Your situation is unique, and there are many factors to consider. However, I hope you find a way to keep hope alive and keep seeking answers until you find what works for you. Many of you have expressed great interest in my book (which is getting rave reviews) but also expressed that you currently have a limited income, and simply cannot afford $24.99. I have made it available exclusively via Lulu.com at an affordable price, the same as most paperbacks. Really great book! Equal parts raw memoir, practical suggestions, and positivity. The book itself is a fantastic read, but the list of resources at the end of the book is worth the price of this book alone! If you purchase the electronic book, be sure to click on all the links provided. There are many, many hours of extra information contained in practically every link, so when you take that into consideration, this book is a STEAL for all hundreds of hours of information and resources you get out it it! Looking for more tips relevant to your particular situation with chronic fatigue or chronic illness? Check out my book and resource, The Memory of Health. I cover most of the theories of chronic fatigue, and offer extensive tips and resources to move toward well-being. No matter your circumstances, I believe there is hope, and hanging onto hope is crucial to your recovery. Whatever your current circumstances are, don’t ever give up. People heal and move on all the time. Wishing you much peace, healing, and light on your journey. *These statements have not been evaluated by the FDA. I am not diagnosing, treating, or prescribing.